An ambitious project to restore one of Lincoln’s oldest and most iconic landmarks has now been completed. Work to secure the future of Newport Arch, which is on English Heritage’s ‘At Risk’ register, was finished on May 30. 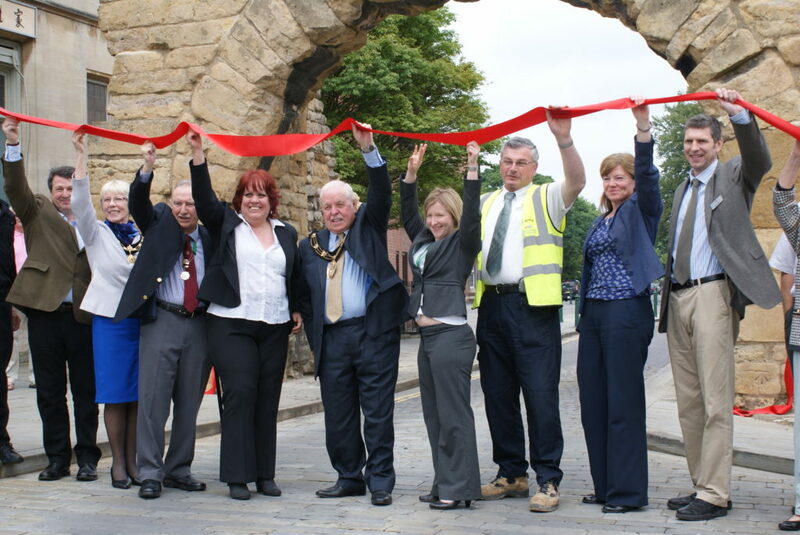 Specialist stonemasons from Woodhead Heritage, the specialist conservation team of Robert Woodhead Limited have rebuilt sections of the third century arch, which is the only Roman arch in the country that traffic can pass underneath. Council leader Ric Metcalfe said: “Newport Arch is an extremely important part of Lincoln’s heritage and it is vital we restored it to ensure it can be enjoyed for many more years to come. “As a scheduled ancient monument we have a legal and moral duty to maintain it, and I’m delighted this work has now been completed. The arch is the Roman north gateway to Lincoln and is an essential part of the rich heritage that makes us so successful as a tourist destination. “Together with Robert Woodhead, we have worked hard to complete the project to the highest standard and I hope people will visit the arch and appreciate this piece of Lincoln’s history.” The work has involved stabilising parts of the arch, replacing eroded stones and adding a layer of stonework to the top to protect the Roman brickwork. In addition, the cement-based mortar has been replaced with lime mortar and three sections of the gable wall have been taken down and rebuilt stone by stone. Recent cold winters, as well as general corrosion over the years, caused the damage to the arch, which was last repaired in 1964 after a lorry crashed into it. The project received a £60,000 Heritage Fund grant from WREN, with £80,000 funding from City of Lincoln Council’s capital budgets.